The Soil & Health Association of New Zealand Inc. (“Soil & Health”) is a charitable society registered under the Incorporated Societies Act 1908. It is the largest membership organization supporting organic food and farming in New Zealand and is one of the oldest organic organisations in the world, established in 1941. Soil & Health’s objectives are to promote sustainable organic agricultural practices and the principles of good health based on sound nutrition and the maxim: “Healthy soil, healthy food, healthy people”. Its membership is chiefly composed of home gardeners and consumers, organic farmers and growers, secondary producers, retailers and restaurateurs. 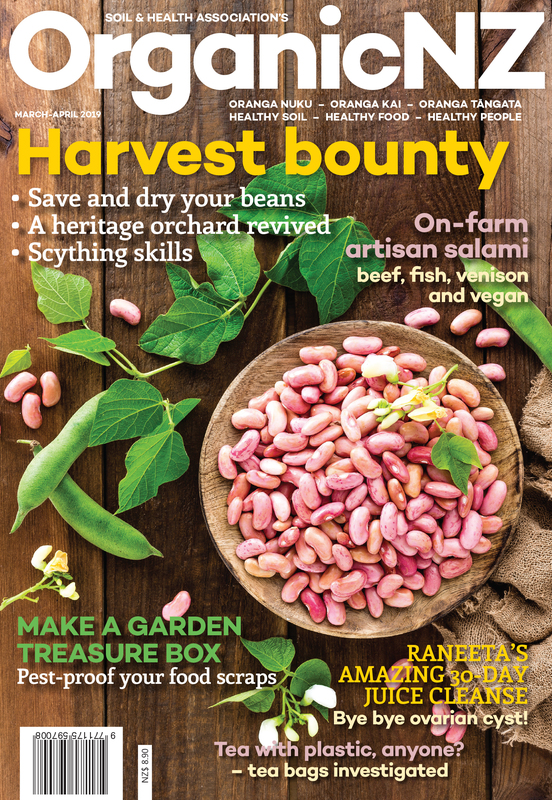 Soil & Health publishes the bi-monthly ‘Organic NZ’ magazine – New Zealand’s leading organics magazine. Soil & Health makes this submission on the consultation paper requesting that all new foods derived from new breeding techniques be regulated including: gene editing including, CRISPR and other related techniques, GE rootstock grafting, cisgenesis, intragenesis, RNA interference or other techniques including RNA and null segregants. To know our food is safe and free from contamination and harmful residues is a fundamental human right. We must also know what has been sprayed onto crops and soil or otherwise released into the environment, added to foods and other consumer products, and used in the processing of the food we purchase. Safeguards to protect people and the environment are becoming more important and need greater attention as increasing development and presence of novel organisms created through genetic engineering evolve and become mainstream. Much uncertainty exists around the methods and the potential risks associated with these new genetic engineering (“GE”) techniques. Unknown risks are involved in the introduction of foreign material (DNA/RNA/engineered molecules) to the cells, plants or animals, as well as the exact effects of the changes (intended and off-target e.g. accidental) that are made to the genome. The genomes of living creatures are very complex, there is much to learn regarding their design and function. It is therefore impossible to predict the full impacts of the various GE products that are being created using gene-editing techniques. As the crops and animals being developed are very diverse and have different traits, it can be expected that the potential adverse effects on human beings and on the environment will differ, and therefore case-by-case safety and risk analysis is fundamental. Further, genetically modified organisms (“GMOs”) created through new GE techniques are not necessarily detectable using current detection methodology, and in some countries, can bypass all the regulatory registration and labelling requirements. The absence of regulation for these new technologies in some parts of the world means that GE plants, animals, microorganisms etc. can be released in the environment with no risk assessment and no information for breeders, farmers and consumers. Therefore, the new breeding techniques outlined in this consultation paper including RNA interference, and any products, including foods, derived through them must be subject to the same laws and safety regulations as all other GMOs and must be done transparently. We consider that all the new GE techniques, processes and products should be placed in the highest risk category for assessment. The precautionary and polluter pays principles must be applied rigorously to all assessments, licensing and monitoring of new GE techniques and their products. Further, all products derived from new GE techniques must be labelled to protect the right to know and choice for consumers, organic and conventional farmers and processors. Transparent food labelling is fundamental in allowing people to make informed choices. Do you agree, as a general principle, that food derived from organisms containing new pieces of DNA should be captured for pre-market safety assessment and approval? YES. Food derived from breeding techniques such as oligonucleotide directed mutagenesis (ODM), zinc finger nuclease technology types I to III (ZFN-I, ZFN-II, ZFN-III), CRISPR/Cas9, meganucleases, cisgenesis, grafting on a transgene rootstock, agro-infiltration, RNA-dependent DNA methylation (RdDM), reverse breeding and synthetic genomics, are all genetic engineering techniques. Any products, including food, obtained through genetic engineering processes should be subject to rigorous, multi-stakeholder designed and agreed risk assessment protocols that include input from the organic sector and like-minded movements, as well as an assessment of the possibility to prevent the presence of such products in organic products and conventional GE-free products. All products derived from new GE techniques, regardless of the presence of new/altered DNA or new/modified proteins, should also be labelled to protect the right to know and choice for consumers, organic and conventional farmers, and processors. Should there be any exceptions to this general principle? 3.1.2 Questions – Genome unchanged by gene technology. Should food from null segregant organisms be excluded from pre-assessment and approval? The assumption that there have been no unintended genetic, structural or functional changes needs to be assessed before products derived from these techniques are allowed in food. Hence the need for a full safety assessment. A cautious approach is clearly warranted because of the potentially significant and unknown impacts. Are foods from genome edited organisms likely to be the same in terms of risk to foods derived using chemical or radiation mutagenesis? If no, how are they different? Genome edited organisms have gone through the process of genome editing, including introduction of all the required components to the cells. They therefore carry a greater risk and warrant pre-market safety assessment and approval. Are you aware of other techniques not currently addressed by this paper which have the potential to be used in the future for the development of food products? RNA interference, which can result in gene downregulation, silencing or activation and has the potential to be used in the future for the development of food products. It poses unique risks such as gene silencing in non-target species that need to be assessed, among other safety assessment steps, before it should be allowed in food. Products produced using RNA interference should also be labelled as genetically engineered for consumer choice. Should food derived from other techniques, such as DNA methylation, be subject to pre-market safety assessment and approval? YES. DNA methylation is quite clearly a genetic modification technique and can result in heritable genetic changes. It therefore needs to be assessed for safety before being used in our food. Do you think a process-based definition is appropriate as a trigger for pre-market approval in the case of NBTs (new breeding techniques)? YES. Genetically modified organisms pose unique risks and a process-based trigger is appropriate for assessing these risks. If yes, how could a process-based approach be applied to NBTs? As stated previously we consider that the new breeding techniques outlined in this consultation paper including RNA interference, fall within the scope of the definition of genetically modified organism under section 2 of the HSNO Act and therefore must be subject to the same laws and safety regulations as all other GMOs in New Zealand. However significant gaps exist in the law around GMOs in New Zealand. In the HSNO Act there are inadequate liability provisions (e.g. ‘polluter pays’) for any unintended or unforeseen adverse impacts resulting from the outdoor release of an approved GE crop or animal, meaning those causing harm may not be held liable. There is no mandatory requirement for the Environmental Protection Authority (‘EPA’) to take a precautionary approach to the outdoor use of GMOs. We consider that a process-based approach should also include the polluter pays principle and require performance standards regarding liability and the posting of bonds. Further, a process-based approach should also require products derived from new GE techniques to be labelled to protect the right to know and choice for consumers, organic and conventional farmers and processors. Standard 1.5.2 defines “food produced using gene technology” as ”a food which has been derived or developed from an organism which has been modified by gene technology”. It states that “gene technology means recombinant DNA techniques that alter the heritable genetic material of living cells or organisms.” This definition clearly includes gene editing techniques. The intent of the (Australian) Gene Technology Act and Standard 1.5.2 was to capture all new GE techniques. Since RNA interference can also “alter the heritable genetic material of living cells or organisms” through induction of DNA methylation the definition of gene technology in Standard 1.5.2 would be better changed to “gene technology means in vitro (ex vivo or in vivo) techniques that alter the heritable genetic material of living cells or organisms” for clarity. Are there other issues not mentioned in this paper, that FSANZ should also consider, either as part of this Review or any subsequent Proposal to amend the Code? All forms of genetic engineering must be a government regulated activity and done transparently. The public should be able to retrieve data on what technologies have been applied, to enable producers and consumers to choose varieties according to their values and to reinforce the interdependence between consumers and producers. We consider that information on all new varieties derived from genetic engineering should be made publicly available. Information should include methods used to develop new genotypes, intended new phenotypic characteristics, and identifiable genetic (and other markers) to enable their detection along with indication of the analytic technologies or other information necessary for such dictation and identification. We consider that traceability and labelling must be made mandatory and should apply to all genetic engineering processes and GMOs at all stages of the production process, all the way through to consumers. 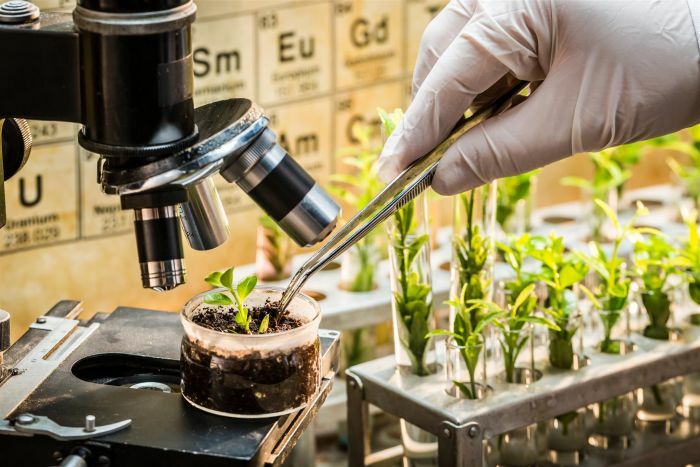 Soil & Health seeks that all new foods derived from new breeding techniques be regulated including: gene editing, such as CRISPR and other techniques, GE rootstock grafting, cisgenesis, intragenesis, RNA interference and null segregants. We call on regulators to ensure transparency and traceability, and to safe guard producers’ and consumers’ freedom not to use untested GE techniques. We consider that a moratorium should be placed on the release and commercialisation of all new GE techniques and their products, especially gene drives, until our regulatory system for GMOs is fully adapted to deal with the risks they pose.